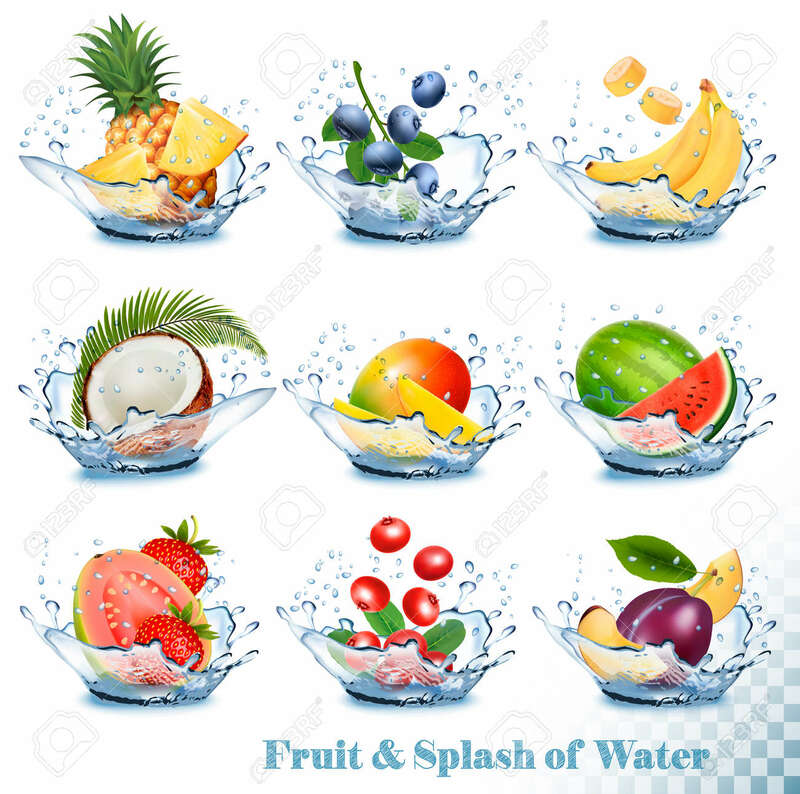 Big Collection Of Fruit In A Water Splash. Pineapple, Mango,.. Royalty Free Cliparts, Vectors, And Stock Illustration. Image 78768551.